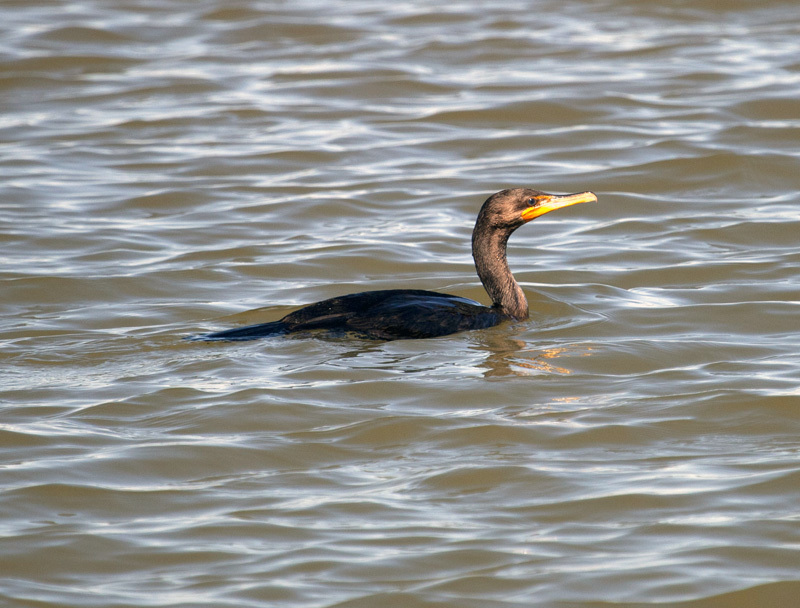 The Double-crested Cormorant (Plalacrocorax auritus) is 30 to 35 inches in length and is a member of the cormorant family of seabirds. 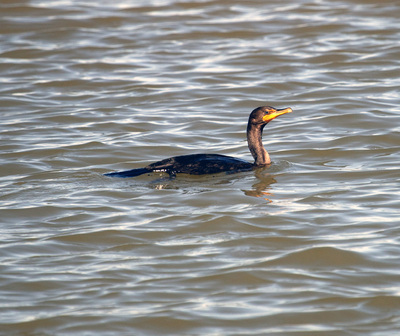 It is a black cormorant with an orange throat patch and a long neck. It has a long, orange, hooked bill that it holds upward as it swims. During the breeding season, adults have short tufts of white feathers over each eye. In flight, the bird holds its neck with a slight crook. This bird is found near lakes, rivers, swamps, as well as in coastal areas, and it is the most numerous and widespread cormorant we have. When swimming, they float low in the water with their heads and necks held high. They are often seen beside the water with outstretched wings to dry them off. In the winter, in most parts of the eastern United States, this is the only cormorant likely to be encountered. In the western states, this is the only cormorant that commonly nests in the interior. 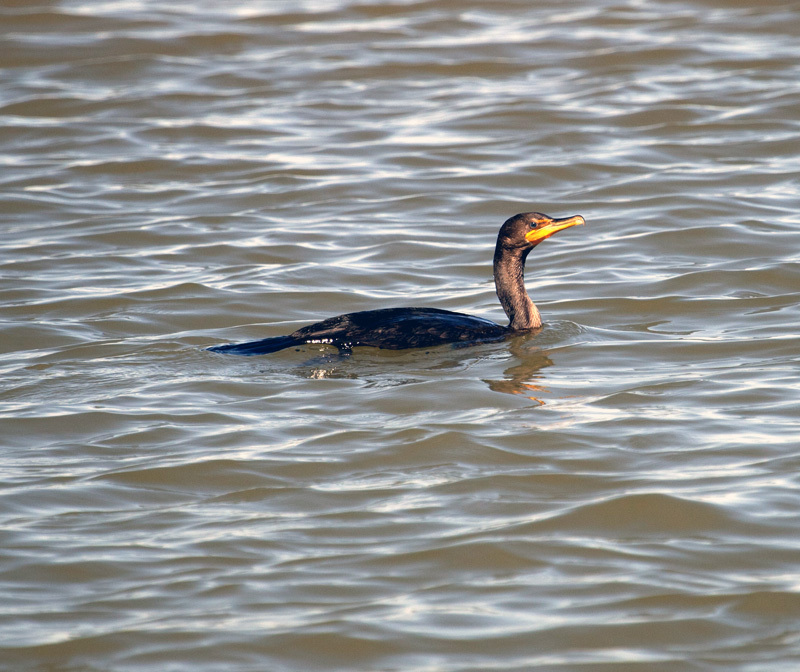 It is sometimes confused with the Brandt's Cormorant in western parts of the country, but the Double-crested Cormorant sports the crook in the neck that is not seen in the Brandt's Cormorant. Cormorants migrate in large, arc- or V-shaped flocks, much like geese; however, these birds are silent during flight. Their voice consists of deep, guttural grunts. Click here for a range map, additional information, and vocalization samples.